Upcoming Events - Wellesley Conservation Council, Inc.
Each time slot offers multiple walks, Starting locations below. We need you to be a Citizen Scientist and capture the bio-diversity in Wellesley's wild spaces! "Community Conservation: Health, Climate, and Economic Benefits"
Dr. Spencer Meyer, Sr. Conservationist from Highstead Foundation and the Harvard Forest will discuss how local conservation is a key component of the Wildlands and Woodlands vision for the future of New England. He will share lessons from successful conservation collaboratives around New England and talk about new research showing that protected open space is not only critical to preserving critical ecosystems, but also provides health, climate, and economic benefits to our communities. There will be ample time to discuss current conservation efforts in Wellesley, how our community can expand our initiatives, and how our work fits into a larger connected landscape. in the 1930s for all our neighborhoods to enjoy in perpetuity. 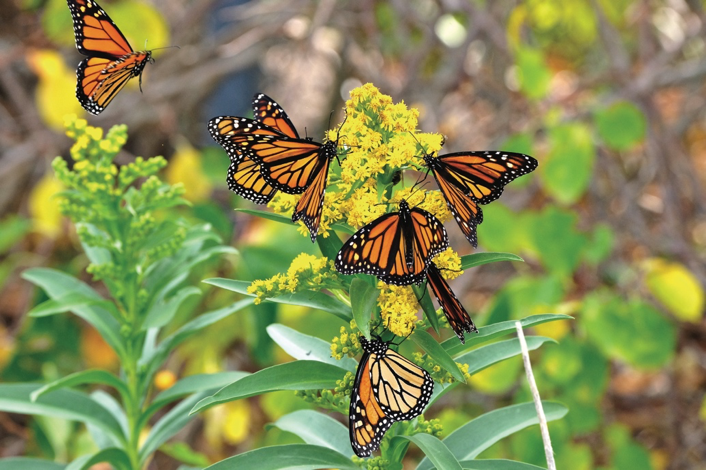 ​How can Wellesley help Monarchs throughout Their Life Cycle? will precede the program at 6:30pm. 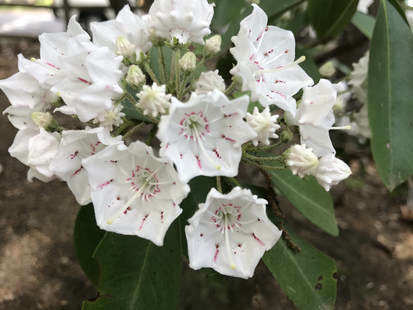 The Wellesley Conservation Council announces an Open Garden at Cronk's Rocky Woodland on Sunday, June 11th from 2-4PM, across from 21 Crown Ridge Road. 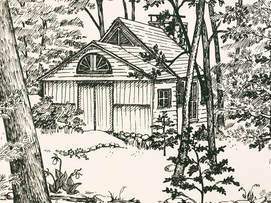 See marked native plants and flowers and explore the moss covered "Hansel and Gretel" garden house built by the Cronk family out of recycled materials over 50 years ago. Come visit this sanctuary garden and learn more about the family who donated it to the Council in 1977 for the enjoyment of all the residents of Wellesley to be maintained as a native wooded garden. 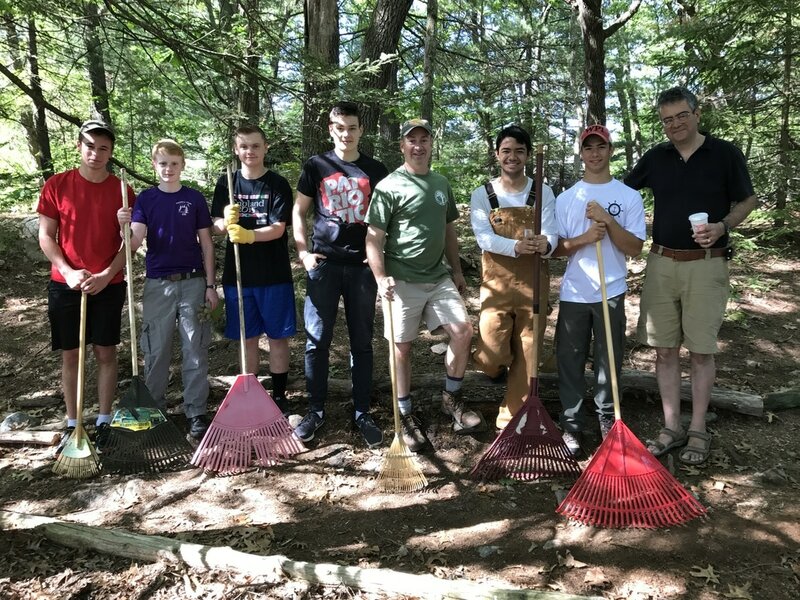 We also thank Tony Czubarow who organized volunteers for his Eagle Scout project from Wellesley Boy Scout Troop 185 for a sanctuary clean up in preparation for the event. On June 4th, a dozen young men picked up scores of bags of loose leaves to help the native plants and flowers flourish. 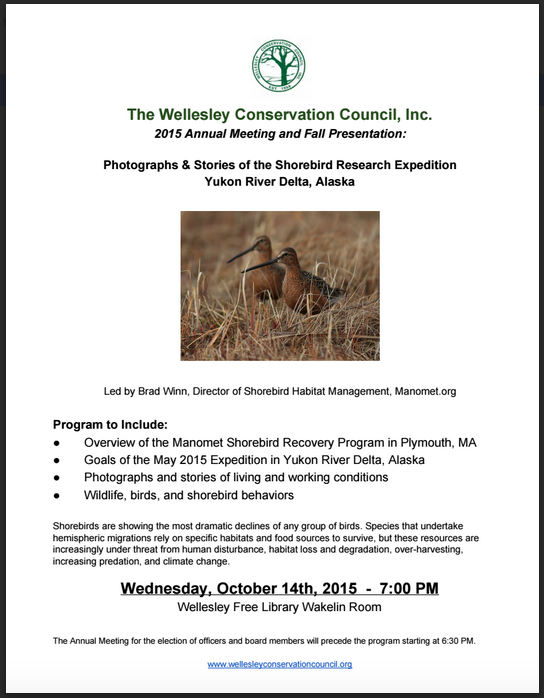 Join us October 14th, 2015 for our Annual Fall Presentation!